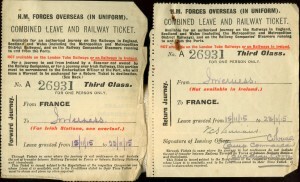 Leave was an important, if rare, reward for soldiers on the Western Front. On average, a Canadian non-commissioned soldier received ten (later raised to 14) days of leave per year, while officers typically received four times that amount. Soldiers could not return to Canada, but there was always great excitement in going to Great Britain or major French cities, especially Paris. Many Canadians received their first experience of Europe’s great cities and cultural centres during the war. While on leave, most soldiers lived hard, looking for the simple pleasures of alcohol and sexual encounters. 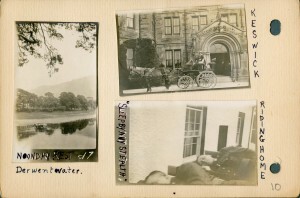 Many also played the role of tourists, seeing the great sights, purchasing postcards for loved ones, and getting photographs snapped in studios. Despite the temporary escape, all soldiers knew that they would soon return to the Western Front. 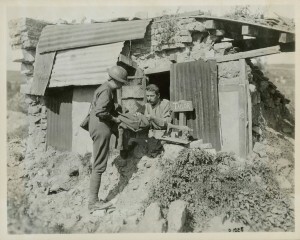 A Canadian preparing to go on leave takes his tunic to the local tailor in a nearby dugout for alterations. 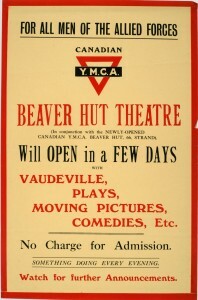 For many soldiers, the chance to go on leave and visit the major cultural centres of Europe, such as London or Paris, was a rare and exciting opportunity. Soldiers tried to look their best as they traveled temporarily back to civilization.